Olympic values are the differential element of the Olympic Movement. Today, these dynamic values are subject to rapid changes. Understanding the structure of values from a social and cultural perspective is necessary for all actors and institutions related to Olympism and the Olympic Games. Through this academic project, a research on the structure of values associated to the Olympics has developed in order to identify which values are threatened today, and what values are changing change or remain constant with time. And also taking into account the proposals included in the IOC Olympic Agenda 2020, presented as a strategic roadmap for the future of the Olympic Movement. 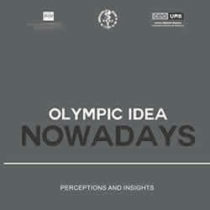 The book includes the contribution of 23 academics and experts in the field of Olympic studies sharing their reflections on the evolution of the Olympic Movement since Sydney 2000 and the impacts, contributions or changes posed by the London 2012 and Sochi 2014 Olympics. The work has been produced by Emilio Fernández Peña (Director of the Olympic Studies Centre at the Autonomous University of Barcelona), Holger Preuss (Johannes Gutenberg-University Mainz) and Lamartine DaCosta (State University of Rio de Janeiro) in collaboration with Dikaia Chatziefstathiou (Panteion University, Athens), Xavier Ramon (Olympic Studies Centre at the Autonomous University of Barcelona) and Ana Miragaya (Universidade Estacio de Sa, Petropolis). The project has been promoted by the Johannes Gutenberg University Mainz, the Universidade do Estado do Rio de Janeiro and the Olympic Studies Centre at the Autonomous University of Barcelona, and has been published as eBook by the latter institution.